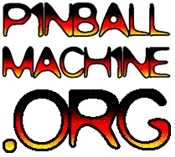 The rules and details of the Pacific Pinball Exposition Tournaments are now available. Here’s a quick rundown of what we have planned. For the full rules, click here. PPE Open: $10 per qualifying ticket, PAPA-style qualifying, Unlimited re-buys. Qualifying begins Friday at 2:00pm and end Saturday night at Midnight. Finals are on Sunday starting at 2:00pm. Cash prizes will be awarded directly after finals are completed. Classics Tournament: $10 per qualifying ticket, PAPA-style qualifying, unlimited re-buys. Finals on Sunday starting at 10:30am. Novice will be on Saturday only. Register between 10 am and 1:30 PM. Qualifying ends at 5:30 PM. Kids: $5 Entry, no “re-buys”. Kids play 2 games 2 times each, and the highest score on each game is recorded. Scores are ranked and points are awarded. Final placing is determined by point totals. Kids will be on Saturday only. Kids may enter at any time after 10am, but must complete their games by 5pm. Players are organized in 3-player teams. Play is between teams in a head-to-head, single-elimination format. Either bring your friends or we can match you up with others to make a team. The teams select games on the main show floor and challenge the opposing team. The winner of each game gets to place an X or O on the Pin Tac Toe sheet. The winner of the match is the team which gets three in a row. The winning team will advance to challenge other teams.